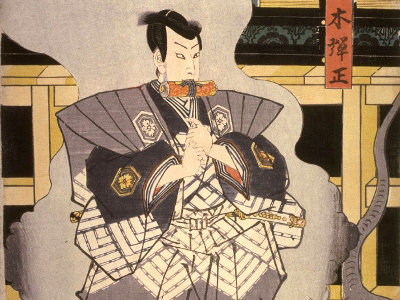 Long ago in the land known as Kamigawa, a civil war raged between a group of western provincial leaders and the military forces of Lord Oda, the Unifier. 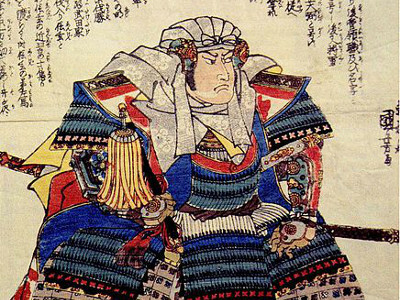 Lord Oda had amassed a great army and conquered much of the eastern Kamigawa plains, but the mountainous west had proven treacherous to his troops and remained elusive. Other creatures you control gain bushido X, where X is the number of +1/+1 counters on Oda, the Unifier. Whenever a creature dealt damage by a creature you control dies this turn, exile it and put a +1/+1 counter on Oda, the Unifier. If you control no other creatures, sacrifice Oda, the Unifier. Kenshin, Dragon General must attack each turn if able. : Samurai you control get +1/+0, trample and must attack this turn if able. Sacrifice all Samurai that attacked this turn at the end of combat. 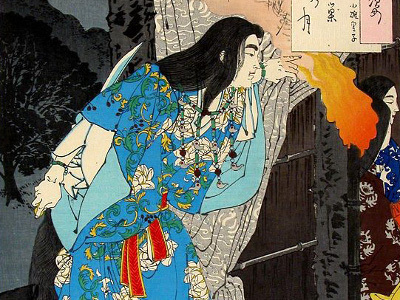 As samurai battled each other under the watchful eye of the Sun Goddess, Amaterasu, nighttime brought out the shadowy spies known as ninja, worshippers of the Moon God, Tsukuyomi. 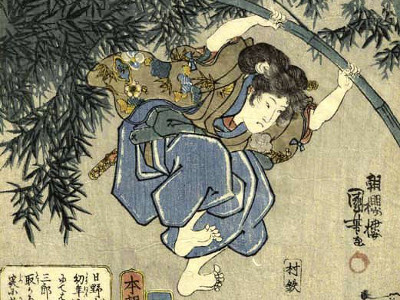 Like their lunar patron, ninja were clever and adaptable, relying on stealth and subterfuge over brute strength. 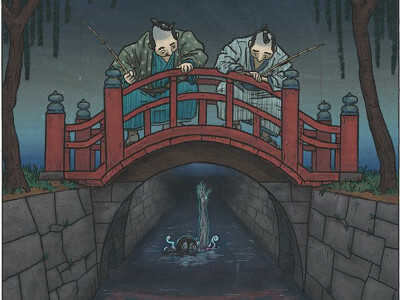 As Lord Oda’s influence spread through the rivers and costal Koga province, the Koga ninja integrated themselves into regular society and utilized their skills in deception and subterfuge to gather valuable information. Other creatures you control gain first strike and bushido 1.
, : Target creature must block this turn if able. You may untap it. When Tsukuyomi, Moon God deals combat damage to an opponent, you may put target creature from your graveyard into play tapped. This earned them valued positions as intelligence officers in Oda’s army. 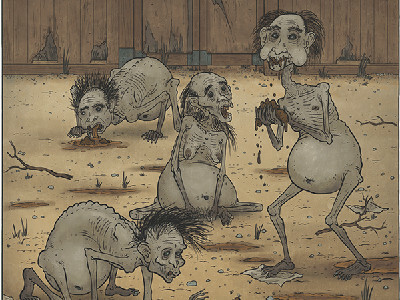 Meanwhile, the dark ninja of the Iga clan trained alone in the fetid swamps of western Kamigawa, specializing in the art of poison, stealth and assassination and offering their services to the highest bidder. Whenever Momochi of the Iga deals damage to a player, you may destroy target tapped creature that player controls. : If Momochi of the Iga is blocked, you may exchange it for target creature in your hand with converted mana cost 4 or less. When Mochizuki of the Koga deals damage to a player, draw a card. : Return Mochizuki of the Koga and all creatures blocking Mochizuki of the Koga to their owners’ hands. 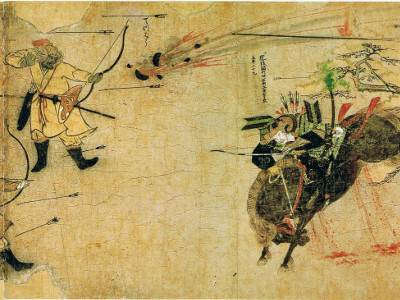 The war between the East and West took a heavy toll on the land as well, with forests being razed to supply Oda’s enormous army and fields being burned to the ground by scorched earth guerrilla tactics. 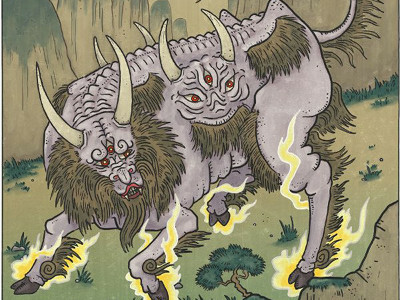 The ambitions of man had fallen out of balance with nature and while the children of Amaterasu and Susanoo battled amongst themselves, spirits of nature were rising from long slumbers, determined to restore harmony through any means necessary. 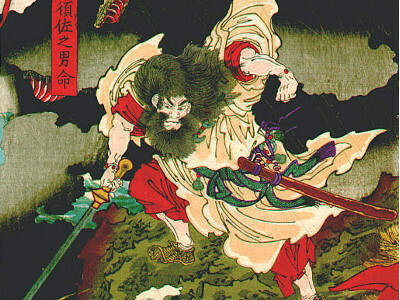 Yamata no Orochi is indestructible as long as it is untapped. 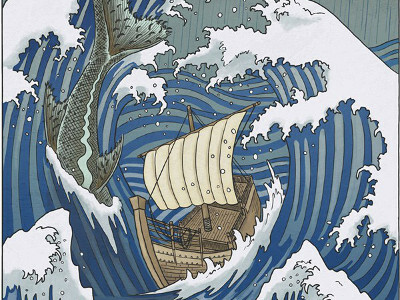 It had an eight-forked head and an eight-forked tail and on its back firs and cypresses were growing. As it crawled it extended over a space of eight hills and eight valleys. 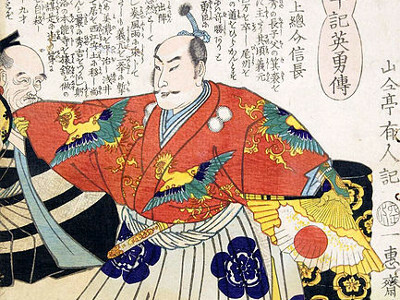 Bushido, meaning “Way of the Warrior,” is a code by which all samurai live. 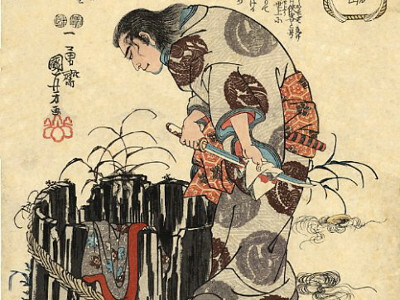 By dedicating their lives to the sword, samurai live austere lives seeking neither riches nor luxury, and living only for the glory of battle. 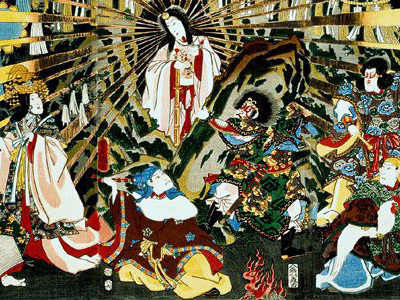 These warriors worship the Sun Goddess, Amaterasu, who rewards devoted warriors with hearts of fire that blaze in the throes of war. 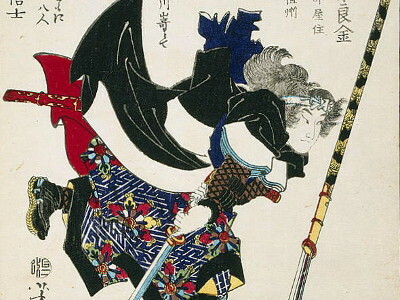 Unparalleled in combat, the greatest honor for a samurai is to die by the sword — either a worthy opponent’s, or their own. : Kamikaze Samurai gets +1/+0 and trample until end of turn. Sacrifice it at the end of combat this turn. Ninjutsu encompasses a variety of skills and tactics used by ninja in espionage and guerrilla warfare including methods of concealment, disguise, assassination, sabotage, martial arts, and more. 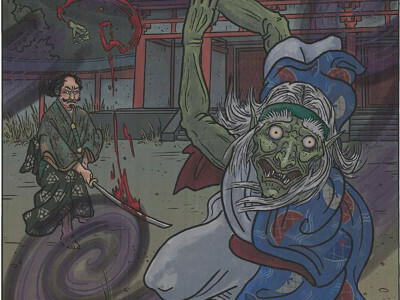 Ninja operate under the gaze of Tsukuyomi, God of the Moon and embody his dark, illusory nature to move throughout Kamigawa undetected. Whether concealing their bodies in the dark shadows, concealing their identities through disguise or concealing their intentions through deception, ninja are masters of all manner of covert operations. Whenever Infiltration Shinobi deals combat damage to a player, you may draw a card. Whenever Death Shinobi deals combat damage to a player, that player sacrifices a creature. 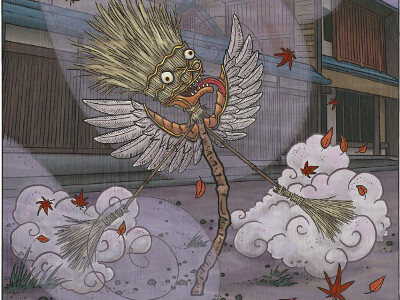 The nature spirits of Kamigawa carry tremendous power but are unable to manifest into physical form alone. Instead, they exert their influence by bonding themselves to living creatures with whom they share a natural kinship, most often wild animals. Once anchored to the physical world through a spiritual bond, some spirits are able to extend their bond even further to touch other living beings and bond the creatures together. Through these bonds, the spirits seek to restore balance by realigning the unnatural ambitions of man to the harmonious spirit of nature. If Hakutaku is spiritbonded, it and its spiritbond have lifelink. If Spirit Friend is spiritbonded, it and its spiritbond get +1/+1. At the beginning of your upkeep, sacrifice Hungry Ghost unless you sacrifice a Spirit. 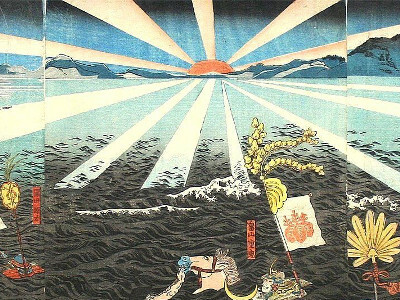 The elements of Fire, Water, Earth and Air hold great power on Kamigawa. By tapping into the plane’s mana, one can manifest powerful elemental spells. 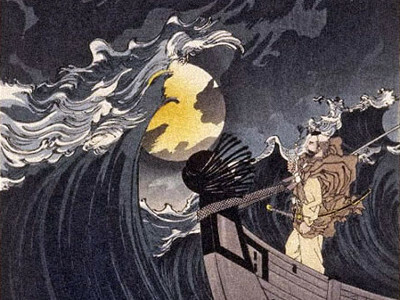 While the fire on Kamigawa yearns skyward toward Amaterasu’s blazing eye and Tsukuyomi hold the plane’s great tides in his fluid grasp, the true patron of the elements is their brother, Susanoo, God of Storms. 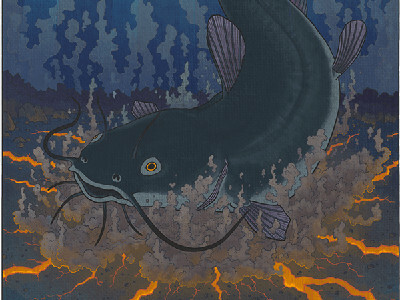 It is Susanoo alone who can conjure and combine the elements at will, clearing battlefields with massive monsoons and reshaping the land with volcanic blasts. 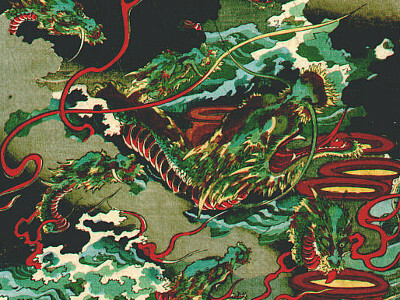 Volatile and unpredictable, the elemental forces of Kamigawa bend to the nature of their impetuous master, Susanoo. You may cast target Earth, Water, Wind, or Fire Instant or Sorcery from any graveyard without paying its mana cost. Then exile it. When you cast this spell, copy it for each spell cast before it this turn. You may choose new targets for the copies. As an additional cost to cast Amaterasu's Wrath, exile three cards at random from an opponent's graveyard. 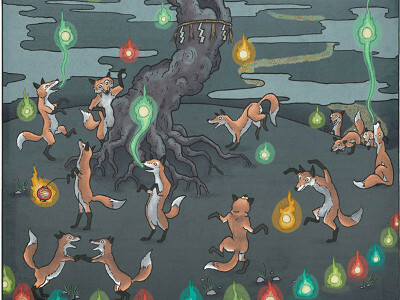 As an additional cost to cast Fox Fire, exile a card at random from an opponent's graveyard. Deal 5 damage to target creature. When Isonade is blocked, tap all creatures blocking it. Then, if Isonade survives combat and any of its blockers die in combat this turn, you may return a Water spell from your graveyard to your hand at the end of combat. 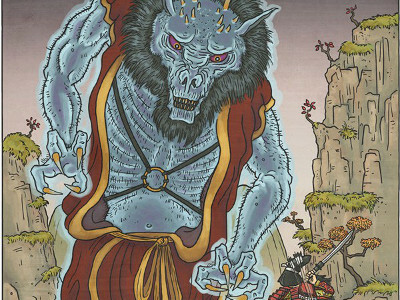 As an additional cost to cast Yama Giant, sacrifice three Mountains. 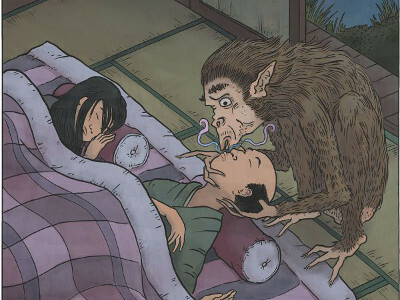 When Yama Giant enters the battlefield, deal 3 damage to each non-Earth creature without flying. O-Namazu enters the battlefield tapped and does not untap during your untap step. O-Namazu can't be the target of spells or abilities. , Sacrifice a land: Untap O-Namazu. , : Destroy target land. Return target artifact or enchantment to its owner’s hand. Return target creature to its controller's hand.